Direct Cremation does not include a Remembrance Gathering or Remembrance Merchandise. Direct Cremation is the least expensive cremation price option in St. Louis, Missouri. Direct Cremation includes: transportation from the place of death. Placement of the deceased into an alternative container (included), or you may purchase a cremation casket. Sheltering of the deceased in refrigeration facility (required by law). The professional services of licensed staff. Filing of necessary legal documents & permits. The process of cremation. Placing the cremated remains into a temporary cardboard container or you may purchase an urn, family keepsakes and/or cremation jewelry of your choice. For direct cremation prices in St. Louis, Missouri CALL NOW 314-781-1115. A permanent Cremation Urn will capture the individuality & personality of your loved one. A Cremation Urn captures a person's individuality and personality while honoring a life that has been loved and lost. Cremation-With-Care funeral home providers offer a diverse selection of worthy cremation vessels to choose from in many different styles, themes & hobbies, as well as works of art that will be displayed & enjoyed for generations. 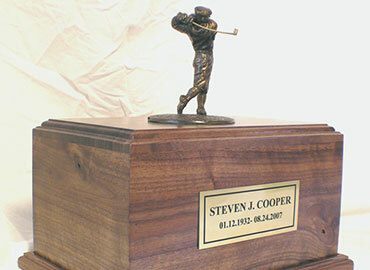 Personalization is available on most urns which can be simple in design, themed, or artistically created in a wide range of materials, shapes and colors. The remembrance of the heart, spirit and soul of your loved one is a treasure which only you and your family can truly know and honor. A Remembrance Gathering can be private for family only or public for friends & community. When opting for cremation services in St. Louis, Missouri it is important to remember the wonderful life of your loved one by gathering to celebrate their history, personality and accomplishments. A Remembrance Gathering at Jay B. Smith Funeral Home provides an opportunity for family and friends to share experiences that should be recognized and cherished. A Remembrance Gathering plays a significant role in our lives and is an essential component of the healing process. You may wish to gather before or after the cremation takes place. A Remembrance Planner Professional can help you create a unique & meaningful gathering. 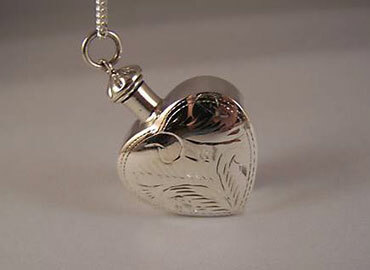 Keepsake Vessels & Cremation Jewelry are inspirational and a treasured remembrance. The memories of our loved ones live on in our heart and minds and a cremation keepsake should symbolize the treasure that those memories represent while keeping their memory close to heart.Sharing the cremated remains of a cherished loved one can be most inspiring as a treasured remembrance for family members. Family Keepsakes and Cremation Jewelry offer tranquility and love while keeping their memory close to heart. Whether you are looking to pre-purchase your own Cremation Urn or are looking for something to honor the life of a loved one, our goal is to help you find joy in the way you choose to cherish those memories. Cremation-With-Care funeral home providers offer a diverse selection of permanent cremation urns to choose from in many different styles, themes & hobbies, as well as works of art that will be displayed & enjoyed for generations. Our Professional Remembrance Planners are accomplished listeners and are able to transform your ideas and thoughts into a perfectly themed and executed Remembrance Gathering designed expressly for your family. Sharing the cremated remains with Family Keepsakes and Cremation Jewelry helps to keep your loved ones memory close to heart. When someone we love becomes a memory, their memory becomes a treasure. Our selection of biodegradable urns gently dissolve in water and allow you to easily transport the cremated remains of your loved one to your desired location. 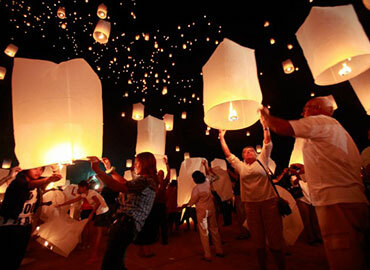 Many people choose to scatter the ashes of their loved one in a special place that held real meaning for the deceased. 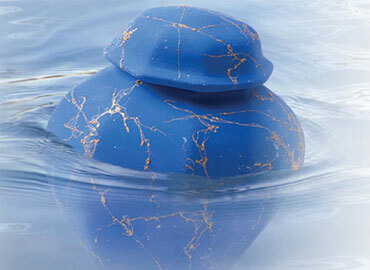 A biodegradable urn makes it easy. 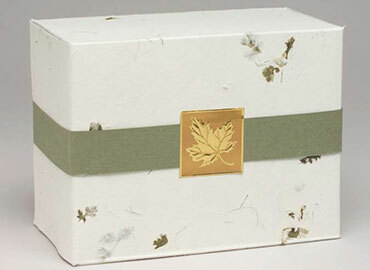 A Companion Urn holds the cremated remains of two people, a popular choice of many families. 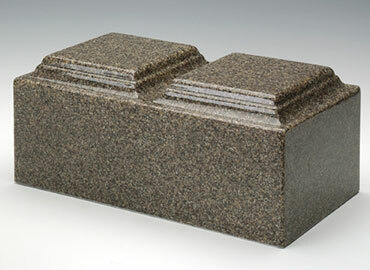 Companion or double urns are available in many different shapes, themes & materials.